The last couple of days the Syrian city of Daraa (or Dar'a, Deraa, Dera) has been in the news. It can be found halfway between Amman and Damascus in southwestern Syria, near the border with Jordan. It is one of the oldest Arab cities, dating back to the Canaanites. Its name was mentioned in Egyptian hieroglyphic tablets at the time of the pharaohs. Roman remains are visible in and near the city. The Sea of Galilee is located 30 miles west of the city (I’ll be there mid June), and 30 miles east of the city the ancient city of Bosra can be visited. 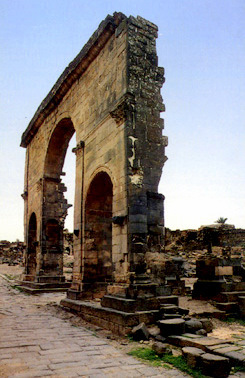 Bosra is a major archaeological site and has been declared an UNESCO World Heritage Site. The Roman theatre of Bosra is an ancient Roman theatre built in the second quarter of the 2nd century AD after Bosra became the capital of the new Roman province of Arabia (doubleclick the photo for enlargement). 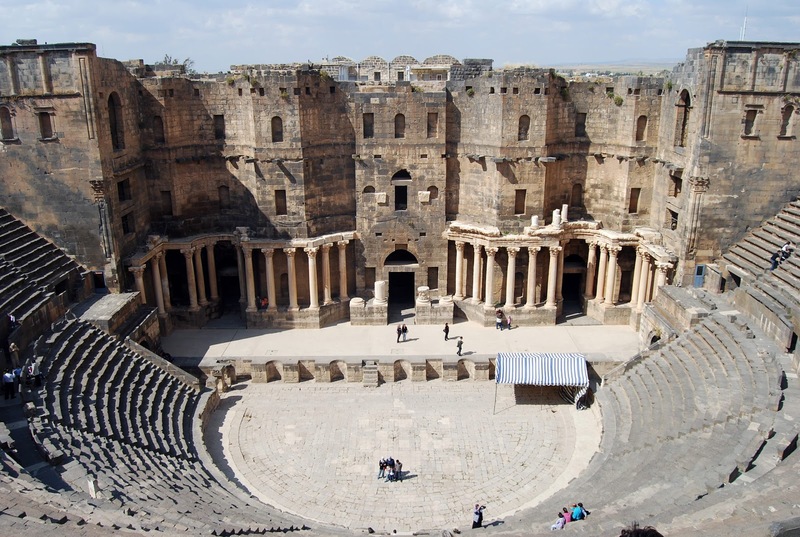 It is the largest, most complete and best preserved theatre of all the Roman theatres in the Middle East, and was one of the largest theatres ever constructed in the Roman world (source). What a delight to travel the world vicariously through your blog! It is, I wish/hope I can visit it some day. I hear some crusader forts have been shot to smithereens, I hope the Roman remains survive the current upheavals. Its so sad that people do not care for our national monuments.